The holidays will soon be here! 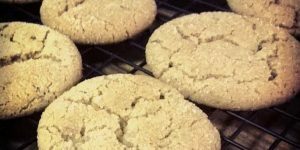 Have you baked your favorite cookies yet? What if you could make sure your holiday treats really tasted like home? Butter, eggs, flour, oh my! Pecans, apples, ginger, oh yum! Can we find a way to source everything we need for our favorite holiday cookie recipes from local growers and vendors? 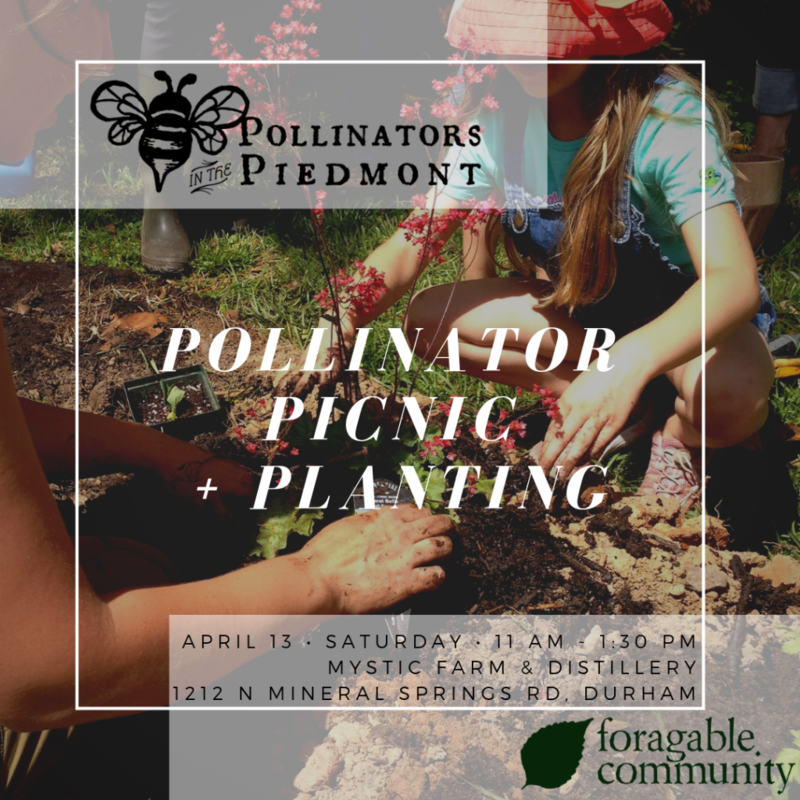 Find out at the second event in the Foragable Durham series – #BakeLocal Cookie Workshop by Piedmont Picnic Project at Mystic Distillery & Farm. You may have heard of the #shoplocal trend for the holiday season, but what about #bakelocal? Learn how to convert favorite holiday confection recipes to use only local ingredients and showcase unique local and wild flavors. Support local farms and businesses in your kitchen! And of course, because this is at Mystic, expect options to spike some of your favorite holiday treats with local spirits. This event is free, but you need to RSVP here to attend. Taste many samples – both premade and ones you help bake. Take home more samples to inspire you to bake local at home. RSVP here to save your spot! Stick around after the workshop for a tour and tasting at Mystic Farm and Distillery free of charge (normally $10)! RSVP here for your free ticket. Want to preserve that spring berry taste all year long? 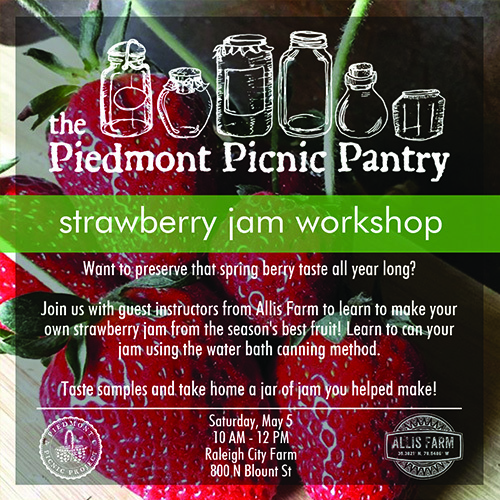 Join Piedmont Picnic Project for this Strawberry Jam Workshop with guest instructors from Allis Farm on Saturday, May 5 at Raleigh City Farm! Learn to make your own strawberry jam from the season’s best fruit! Learn to can your jam using the water bath canning method. 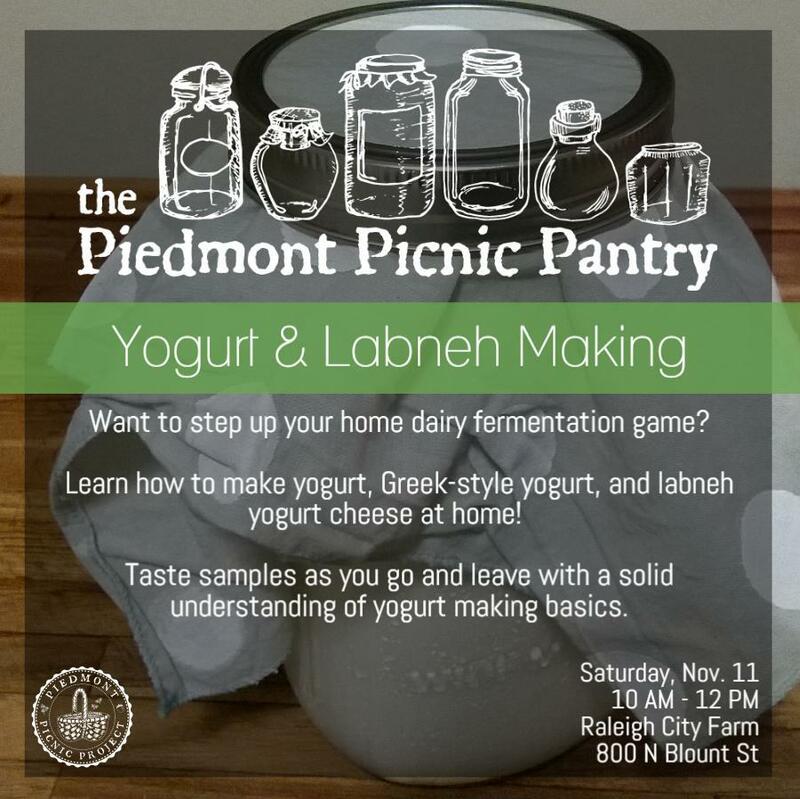 Taste samples and take home a jar of jam you helped make! 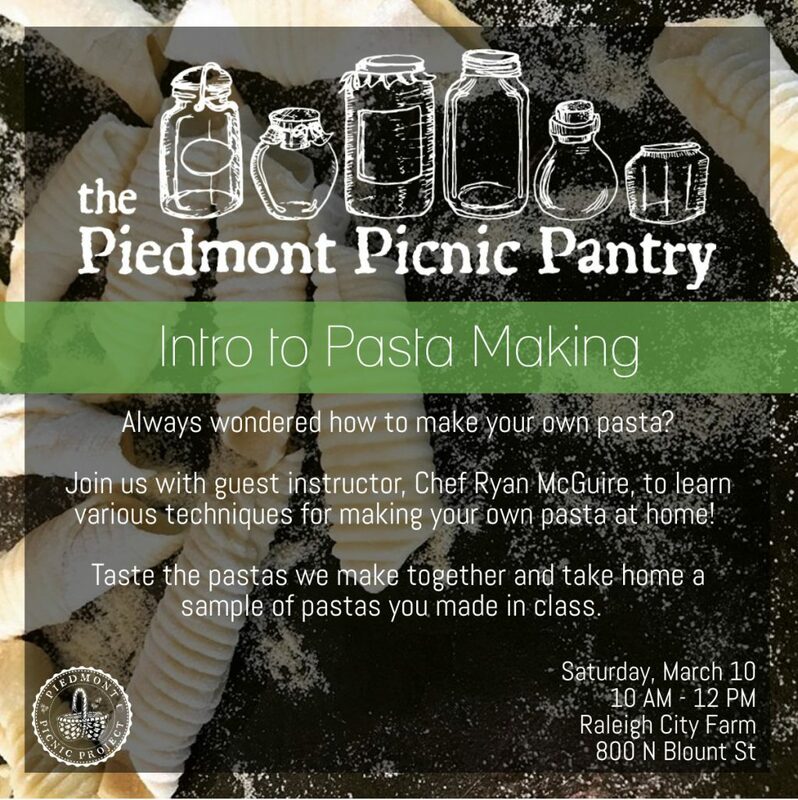 Join Piedmont Picnic Project and guest instructor, Chef Ryan McGuire, for an Intro to Pasta Making workshop at Raleigh City Farm on Saturday, March 10! Have you ever wondered how to make your own pasta? You’ll learn various methods to roll your own at our upcoming workshop. Taste samples of the pastas we make together and then take home pasta you made yourself! 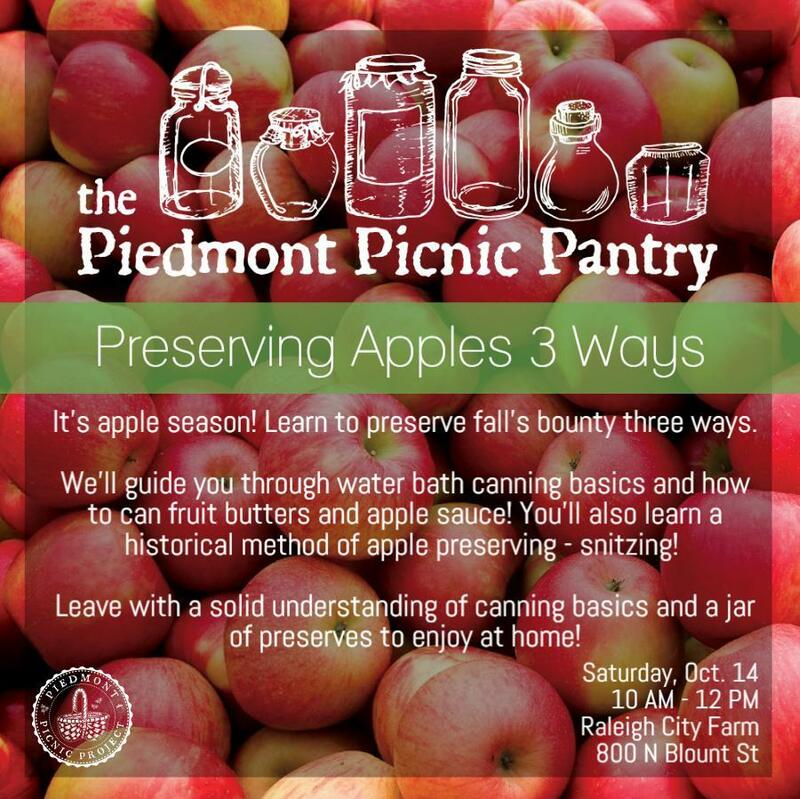 Join us for our Preserving Apples 3 Ways workshop at Raleigh City Farm on Saturday, October 14. It’s apple season! Interested in learning to preserve the fall bounty of apples all year long? We’ll show you three delicious ways and teach you the history behind these methods and some of your favorite apple varieties! Information will cover how to preserve apples using the water bath canning method to make fruit butter and applesauce as well as the historical method of “snitzing”! Techniques generalize easily to other fruits! You will leave with a solid overview of how to use the water-bath canning method, handouts, and a jar of apple preserves that you help make! 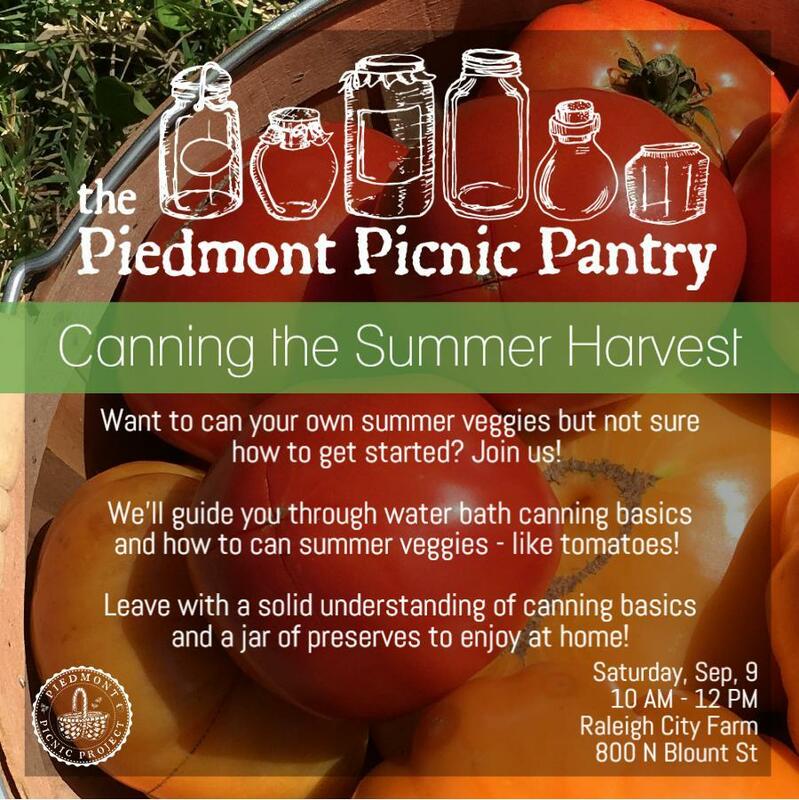 Join us for our Canning the Summer Harvest preserving workshop at Raleigh City Farm on Saturday, September 9. Veggies taste best when they’re fresh, local, and in season. Learn how to preserve your yummy garden produce at its peak so you can continue tasting these sweet days of summer all year long! We’ll guide you through the water bath canning method step-by-step using it to preserve tomatoes and other summer veggies. You’ll learn fun local food history along the way! 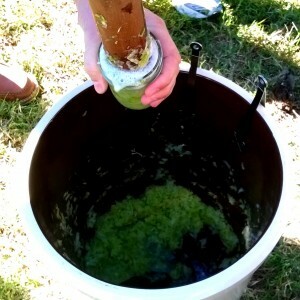 We’ll send you home with handouts and your own bit of “summer in a jar” that we make together in the workshop. 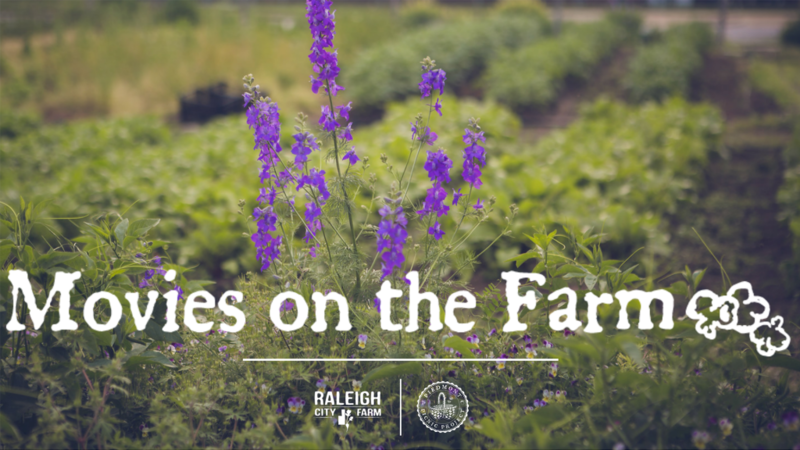 For the second of our 3-part series, come out to Raleigh City Farm for a FREE family-friendly screening under the stars. 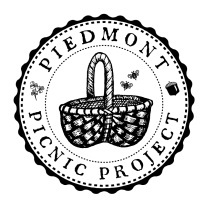 Piedmont Picnic will be there with our Piedmont Picnic “Pop” Stand with freshly popped popcorn with bar of local and wild toppings to sprinkle on top and wild soda pops flavored with locally foraged syrups. Movie: Charlotte’s Web (1973), view the trailer here. Follow along for more information and updates on facebook here. –> We will have concessions for purchase including a Piedmont “Pop” Stand (freshly popped popcorn with bar of local and wild toppings to sprinkle on top), Wild Sodas (flavored with locally harvested syrups), something special from Farmer James, plus beer/wine. Please no outside food or drink. –> Lawn chairs and blankets are welcome as well as leashed, well-behaved dogs. –> Parking is limited to street parking. There is a small parking lot in front of the shopping center next to us, but to be fair to our neighbors who run the businesses, we need to leave room for their customers. Consider carpooling, walking or riding your bike. There is parking available along Delway Street (across Blount street from the Farm). –> Movies on the Farm is ADA accessible. Please message us beforehand for accommodations, we are happy to help. –> In case of inclement weather, we will do our best to give notice ahead of time. Rain date is set for the Saturday that follows the original screening on Friday. –> Interested in volunteering? Sign up here.